Previously, I mentioned that I will write about few more activities I prepared for Eaton. 1) Other blogs mentioned that activity and I found that very interesting because at the same time you build a letter you can introduce vocabulary like: straight line or curves. I had some foam ready to use so I cut out these lines pretty quick. You also can build your baby's name but for that you would need to cut out few more sets of lines. 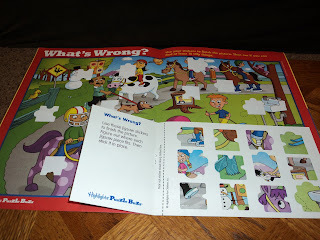 2) This activity I found at http://www.sparklebox.co.uk/thumbs586-590/sb588prev.html Eaton loves puzzles and these pieces are really big! I wrote down the same sentences in WordDoc for Eaton to see what he needs to build. Later on I will not be providing these whole sentences for him to see if he is able to build the sentence from the scratch. Some sentences are longer than others. 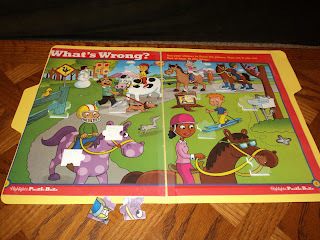 3) Home made puzzles. 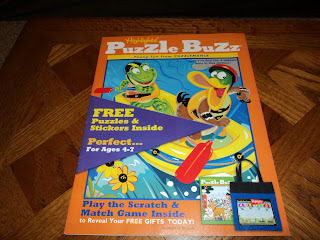 Few months ago I received a sample of Highlights magazine with puzzles and stickers inside. I kept that brochure ( I called it brochure because it has only 7 pages). I was thinking how I can use it now as Eaton is ready to do puzzle but not quite ready for stickers yet. I laminated stickers. 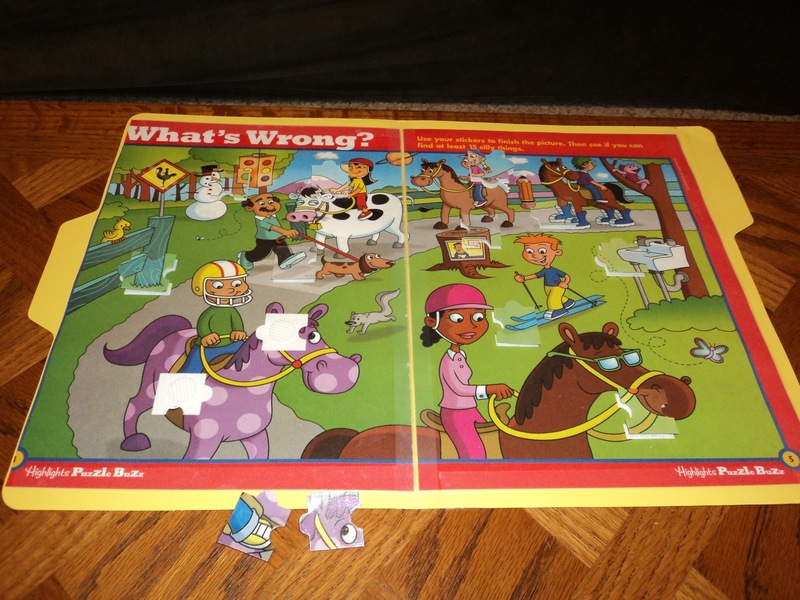 I put some velcro on the other side and home made puzzle is ready. 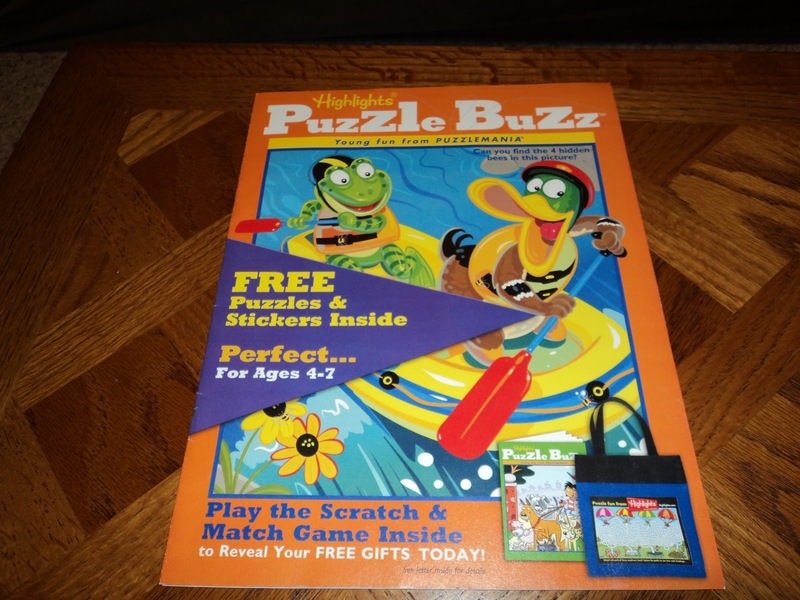 Someone can create any puzzle with the same idea. You can cut out some areas from a poster, you can laminate them to have them more sturdy and puzzle will be ready to use. You can be creative with shapes you cut. You can cut different shapes or shaped them like real puzzle from the one you probably have. How did you teach alphabet to eaton? Currently I am showing Your baby can read dvd to my kids. 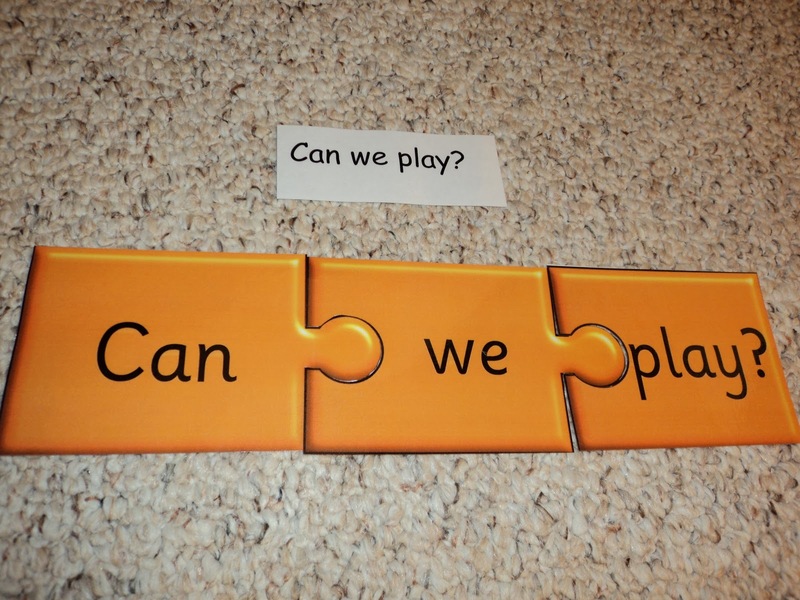 Is it ok to introduce both alphabet and words together? How many letters I should teach them at a time?And how many times I have to repeat? According to your exdperience which would work best? Dvd based teaching style or handmade flashcards? 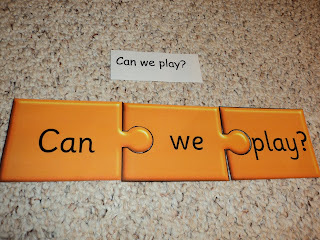 I want to answer to your question on my other blog Early Learning with Marta and Nathaniel as this is very good question because I really did emphasize phonetic letters to Eaton for about 1 year and a half. For now I will say that I used books, cards, dvd's and posters for alphabet letters. Yeah, that's a lot! According to my experience with Eaton both dvd's and cards worked great as both of them are good visual presentations and Eaton is visual, kinestetic learner. I will post the link to answers of your questions over here. 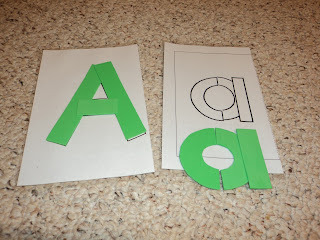 The post will be longer with explanations and pictures of all books, cards, and dvd's I used for teaching Eaton alphabet. Have a great week!